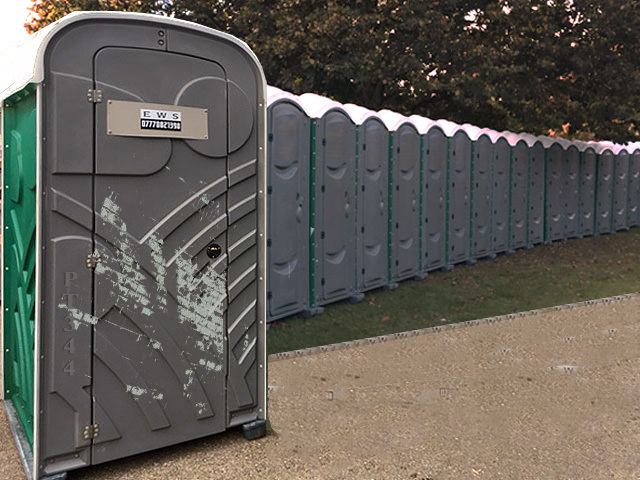 Older portable toilet units are retired after a few years of service and offered for sale at very low cost. Although they no longer meet the standard we would accept for our hire stock, they are perfectly usable. These units are cleaned and made fully serviceable before sale, though we will also sell cleaned units, requiring minor repairs, if you wish to buy them at an even lower price. Units are usually valued individually, but will be sold at a per unit cost for multiple units. These units may fall short of the appearance required for a party or event, but are perfectly adequate for construction site use and can be bought at a fraction of the cost of a new product. To find out more about our old stock toilets just contact Kelvin on the Hotline number or send an email using the contact form here.